The title says it all! There’s a lot. So lets get cracking! 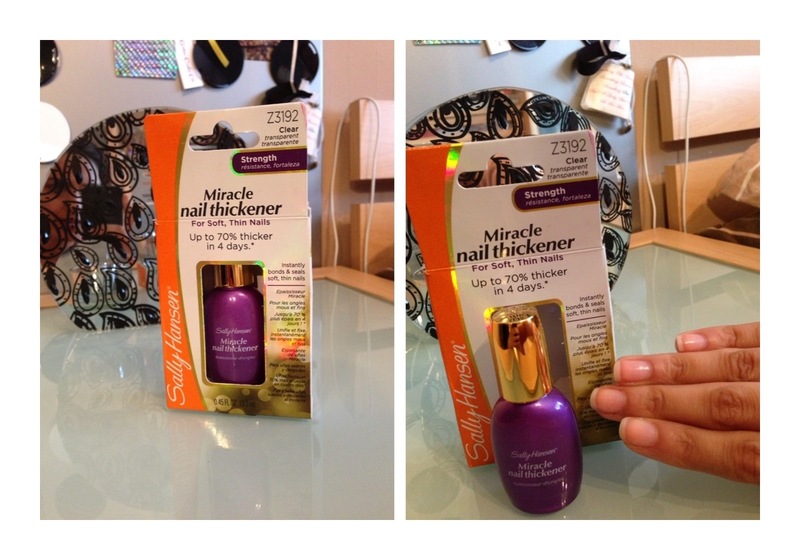 So this I got, because my nails are EXTREMELY BRITTLE! I’m talking about.. Shampooing my hair and my nail will break off mid-nail! It’s awful! I couldn’t deal with the pain any more and I went to Superdrug in a huff and with my finger in a band aid to hide the shame! Lol! When I saw this I thought it looked brilliant! I’ve used Sally Hanson nail polish before for ridge filling before a good manicure! This says to test it for a month and I did so.. The results weren’t AMAZING and if I’m honest very hard to tell! However, I do feel as though my nails are slightly stronger. They still flake a bit as shown in the image however, generally, they haven’t broken in around a week or two so I’ll keep using it! For the price I paid for it, I’ll be patient! The colour of this polish is FANTASTIC! I’ve been into reds a lot this month and I’m LOVING this colour! It’s a complete dupe of a colour I had manicured on me around a month ago! The colour was OPI- thrill of brazil and I think this is exactly the same! The finish is really glossy and it looks beautiful for any time of the year! However, although the polish is shiny, it doesn’t last very long at all! The polish chips in no time, even with a base and top coat to protect it :( for the price though, it’s brilliant! Some of you may have seen my male up collection where I have TONNES of Ruby hammer recommends products! 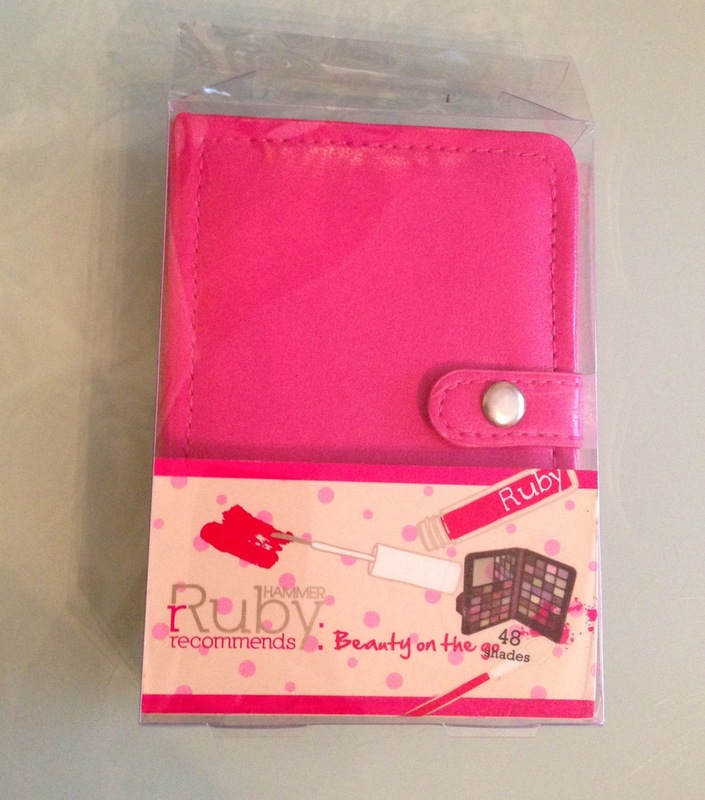 Ruby Hammer is a make up artist who made her own brand and I LOVE her products! 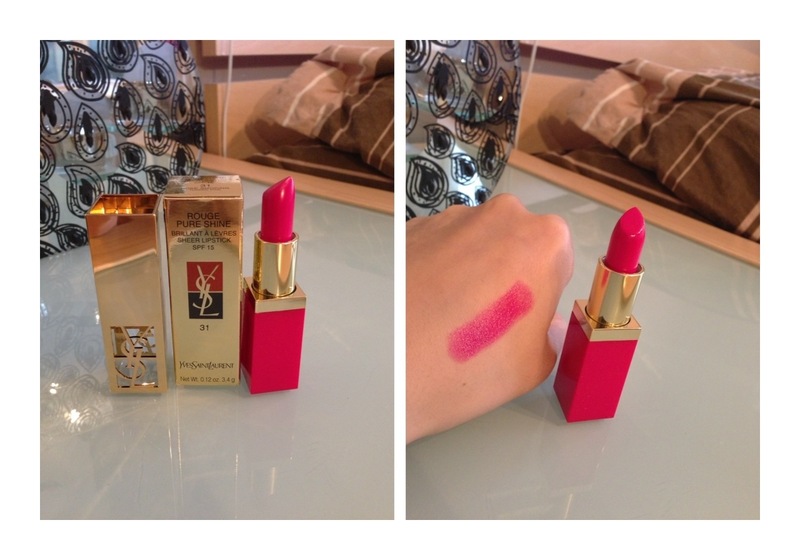 The pigmentation and price are perfect! This palette is definitely perfect for on the go and is such a good size that I think I might take it to France on the weekend! 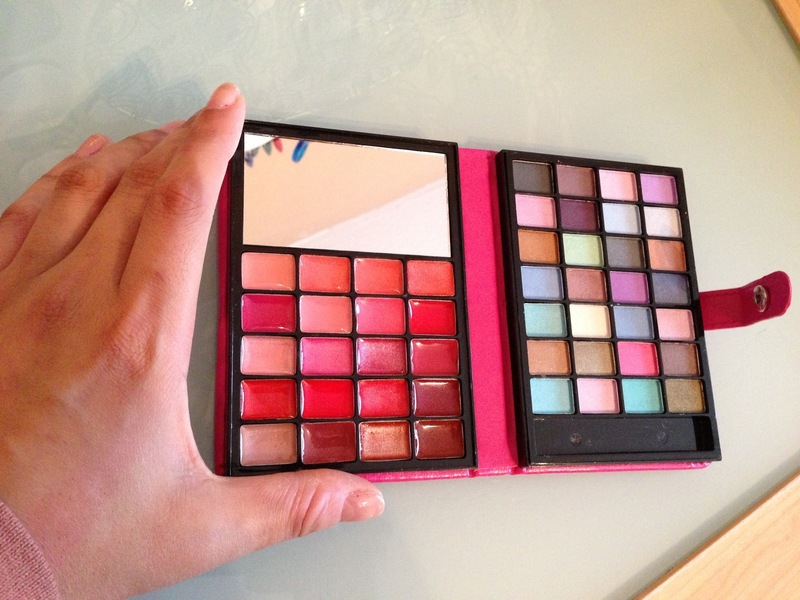 There’s a wide range of eye shadow colours and some lovely coloured lip glosses with a handy mirror too! I would however, like some matte colours because they were all shimmery and I would probably like Ruby Hammer to be available more easily! I don’t see it in every Debenhams store, which isn’t very handy! Plus, I got it at an AMAZING price! This is AMAZING! 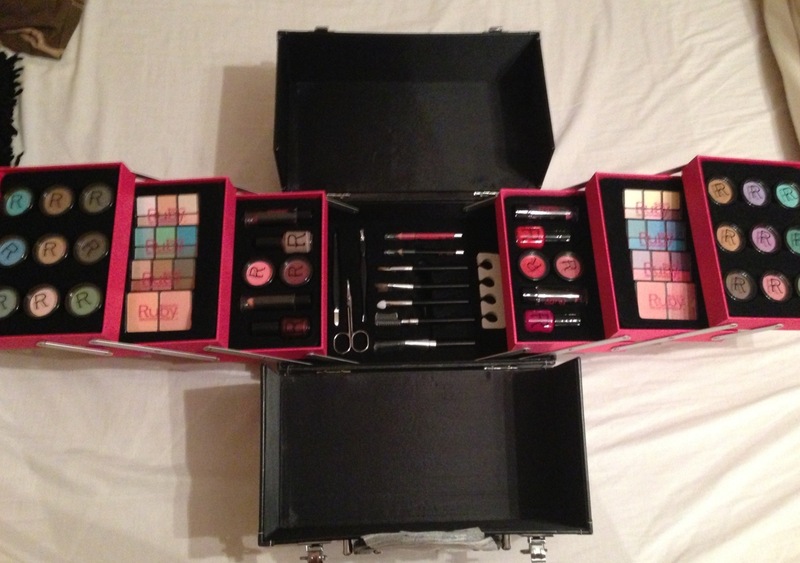 I not only love the packaging and think the make up train is lovely but the make up inside is gorgeous! I didn’t expect to receive what I did when I ordered online! The train was on sale on the Debenhams site so thought I’d pick it up because I liked the storage solution and obviously I like the make up! The box surprised me completely! 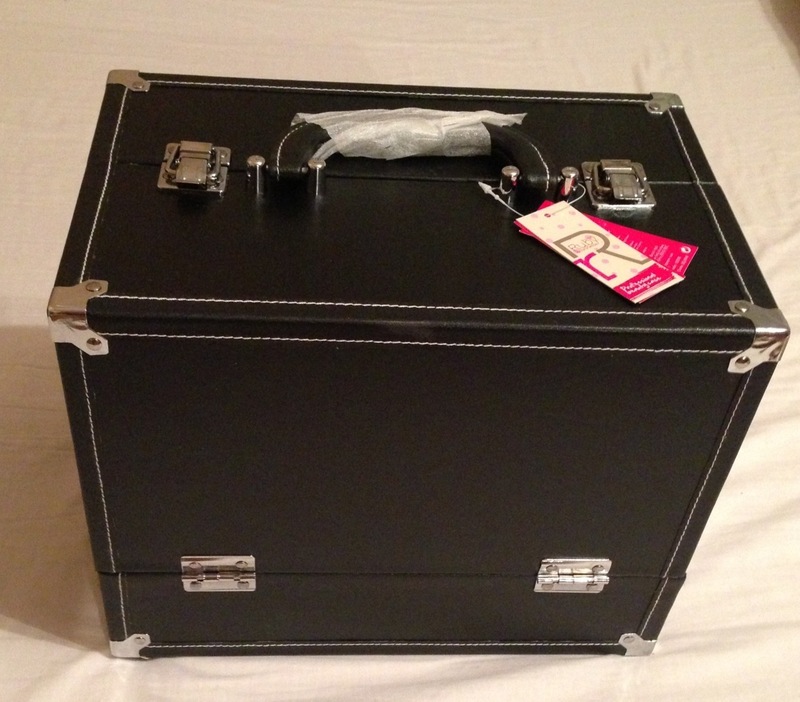 The box consists eye shadows, lipstics, lip glosses, nail varnishes, blushes, palettes and a whole manicure and pedicure kit! Everything a girl needs in the morning! The products are lovely and the presentation is too! Lovely! 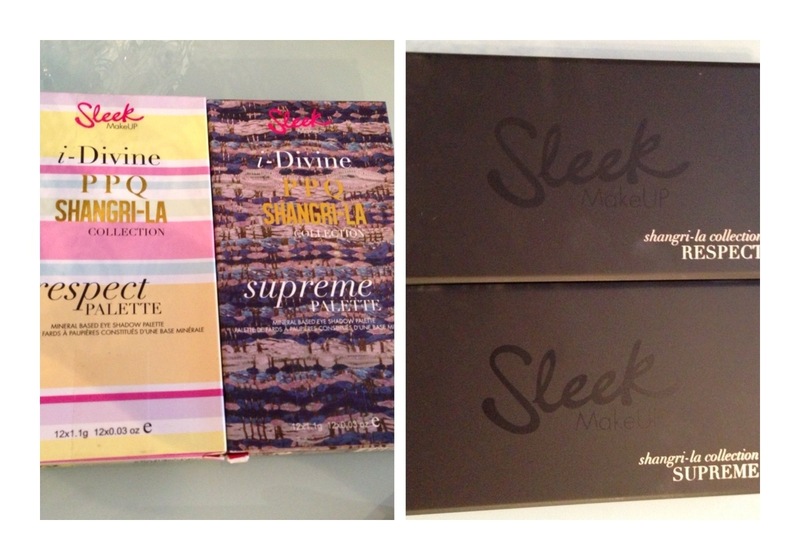 These eye shadow palettes are some of my about items from Sleek Make Up! 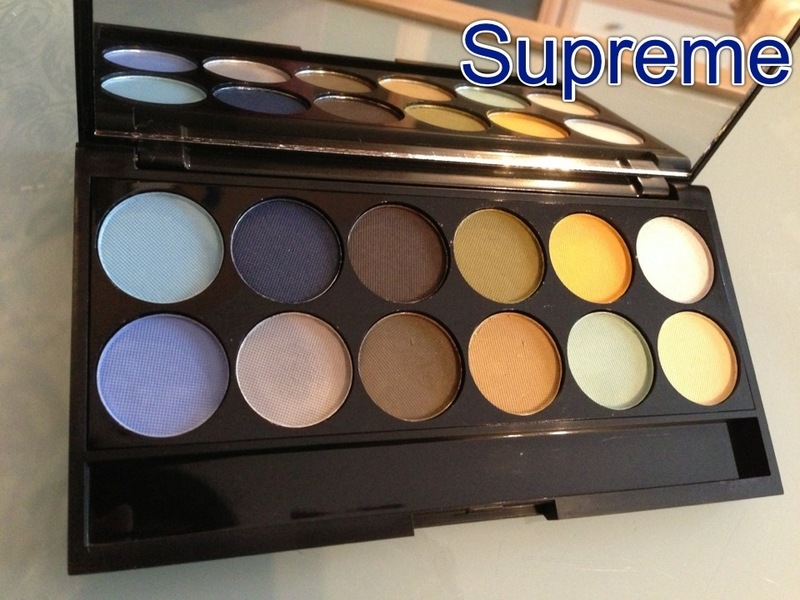 I think the pigmentation of the eye shadows and the colours are fantastic! I love the way they created two! 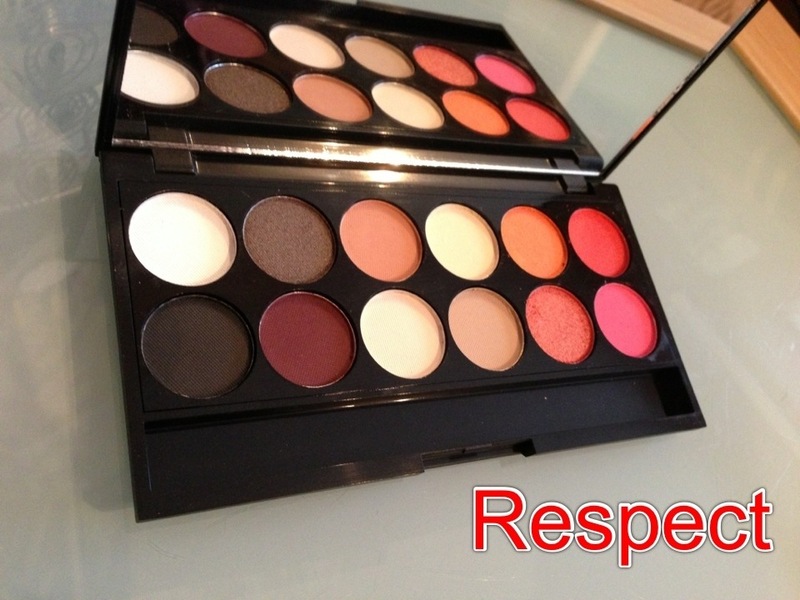 Choose the respect palette is more warmer tones whilst the supreme palette is blue toned! There are a variety of colours to chit any look you want to go for! I got both because I couldn’t choose! 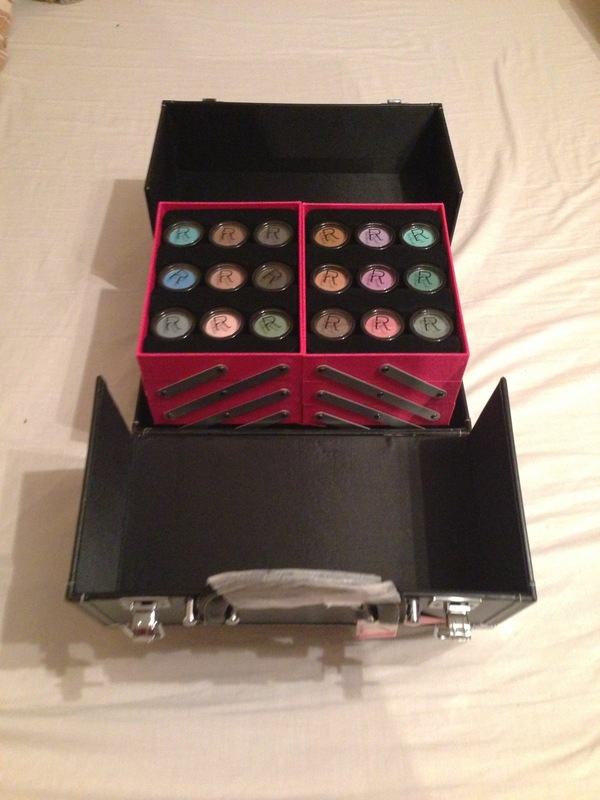 I might be using some of the colours as blushes if I’m not brave enough to wear them on my eyes.. Multi-tasking.. WOOPEEE! !